Recognizing the rapid increase of electricity as a motive force, in 1890 they established an electric motor division. The very early motors were of the horse-shoe magnet type but soon evolved into a broad line. 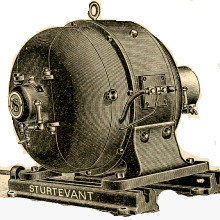 The Sturtevant motors were developed under exacting conditions usually incidental to fan practice, constant full load operation and liberal overload capacity. 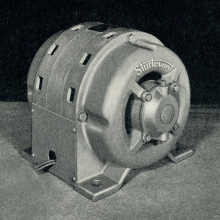 Due to the great variety of speeds needed for direct connection with fan apparatus, the line of motors contained a large number of specifications for various frame sizes, speeds and powers. 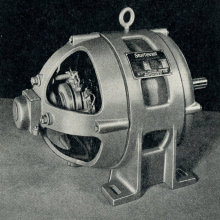 Westinghouse ended the motor line in 1945. The IMK was rated up to 15HP and was suitable for most types of machinery. 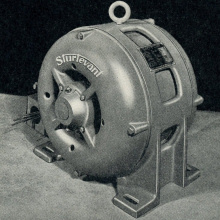 The IM was an induction motor rated up to 200HP. The IW, was best for high torque start-ups. The 4-pole was an early 1900s motor rated to 20HP.